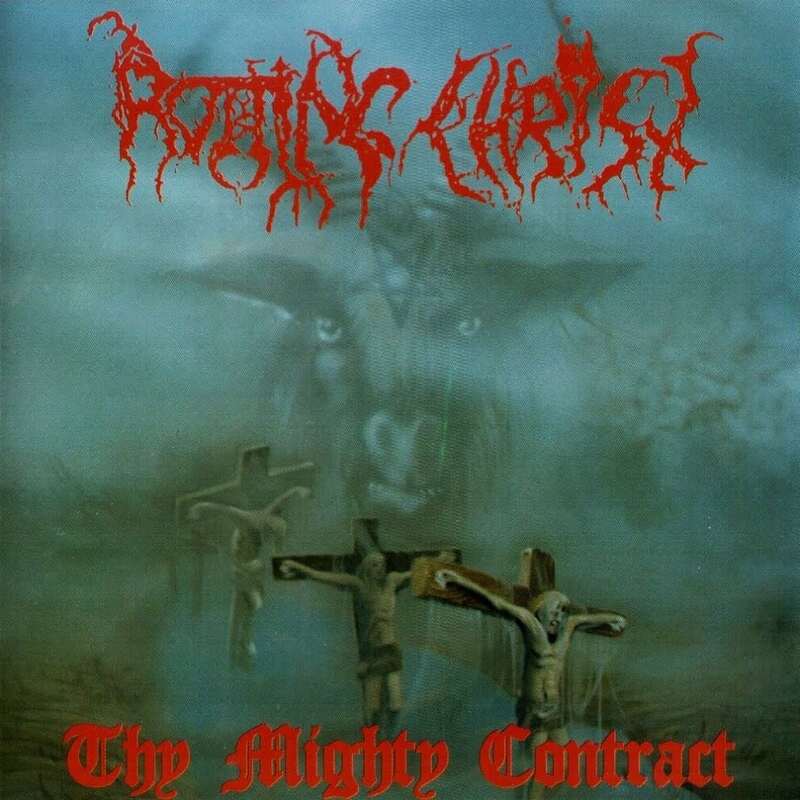 Rotting Christ formed in 1988. The band's early demo recordings contained Grindcore elements that quickly evolved into something altogether darker. Spearheaded by brothers Sakis and Themis Tolis, Rotting Christ have remained one of the most respected forces in the Black Metal scene since their debut release Passage Of Arcturo. The band's legacy was cemented further by the genre classic follow-up Thy Mighty Contract. Thy Mighty Contract was originally released in 1993 and featured a brutal, yet also melodic and atmospheric approach, incorporating different elements of extreme Metal mixed with haunting keys and dark/occult themes. With a clear distinction between the band's sound and what was happening in Scandinavia at the time, Rotting Christ became highly influential and revered for forging a unique sound, while also retaining the rawness of old-school masters such as Celtic Frost and Venom. This 2017 vinyl edition of Thy Mighty Contract' includes the iconic original artwork plus an 8 page 12" booklet featuring extensive recollections from mainman Sakis Tolis in interviews conducted with the Cult Never Dies author Dayal Patterson. The booklet also includes rare photographs, plus thoughts from other long-standing musicians in the scene from bands such as Behemoth, Blasphemy and Aura Noir.